Why the name Brown Bear? This high quality ammo is named for its lacquered steel casings, which give them a darker color than most casings. Manufactured in Russia, this non-corrosive ammo uses Berdan priming to maintain a long storage life. 223 Remington SP is perfect for backyard shooting or friendly competitions on the range, and even for varmint hunting. 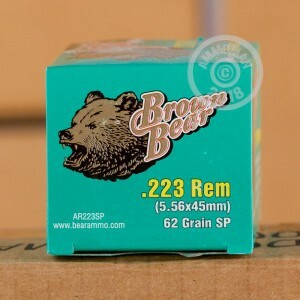 With Brown Bear ammo, you're guaranteed a fantastic performance. 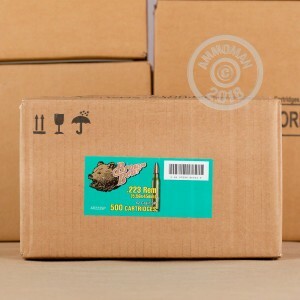 Buy 20 rounds of this 62 grain 223 ammo today!